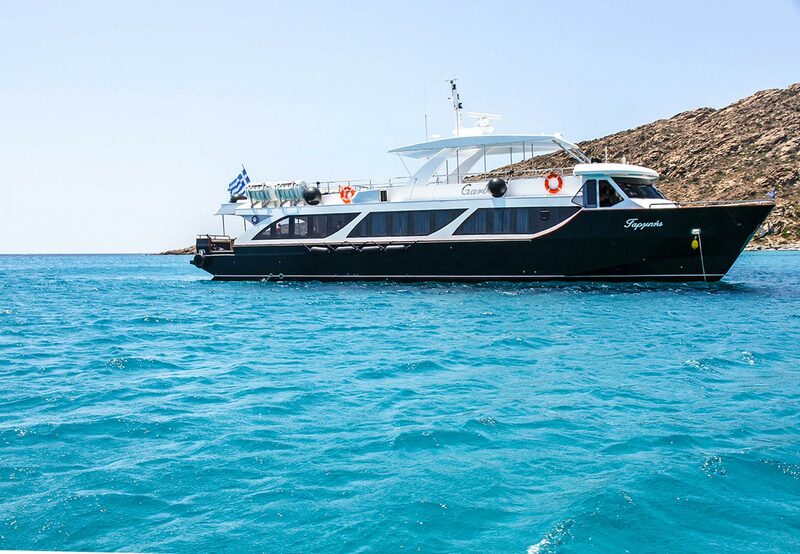 Boatmen Union of Santorini , is pleased to announce the launch of its new activity on the Passenger Vessels Chartering from Santorini to the islands of Mykonos , Milos , Ios , Folegandros , Anafi , Koufonissia , Amorgos , Sikinos. 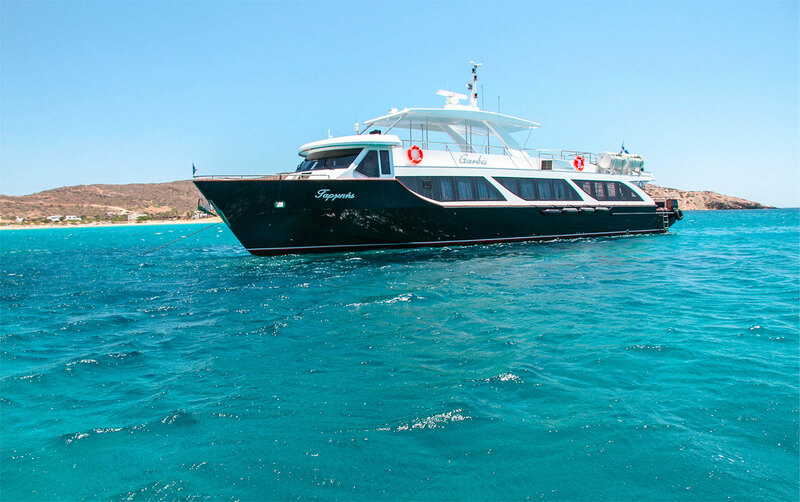 The Boatmen Union of Santorini, one-diversified company, operates, as you know, for 70 years in boatmen nautical services οn the island of Santorini. The infrastructure that we have in terms of adequacy of vessels and training level of our crews are very high, with extensive experience in order to guarantee all the conditions and factors related to the speed, comfort and safety of passenger transport for these reasons for so many years we have not occurred incidents (accidents) despite the peculiarities of our island. The first three boats are Captain Koulis (A vessel dedicated to a historical captain of the Greek Navy), Garbis (our first boat entirely built in Santorini, in our shipyard) and Orpheus (boat dedicated to the mythological religious - musical history of Greece), ... .expecting its new younger brother- New Passenger Vessel this year .., in conjunction with the appropriate trained staff are able to contribute harmoniously to the proper configuration of your journey.